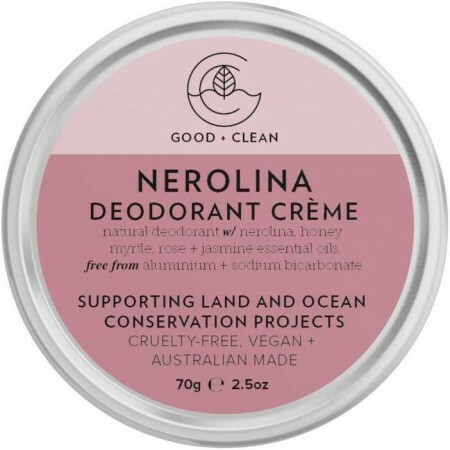 A creme-to-powder, natural deodorant paste to leave you smelling good and clean throughout the day. Scented with nerolina, honey myrtle, rose and jasmine essential oils. Free from aluminium and ingredients like bi-carb, this paste is certified vegan and cruelty free. Full of moisturising plant butters and oils to nourish your skin and mineral powders to keep you dry. Australian made. Certified Vegan and Cruelty Free by PETA. 10% of every sale is donated to protect animals, restore ecosystems and encourage sustainable practices via the World Wildlife Fund, Rainforest Rescue and Fight for the Reef organisations. Unique blend of superfine minerals and plant powders that absorb moisture and inhibit odour-causing bacteria. Nourishing Australian macadamia nut oil. Uses tapioca starch, magnesium salt and diatomaceous earth for a dry finish. Free from aluminium and bi-carb. 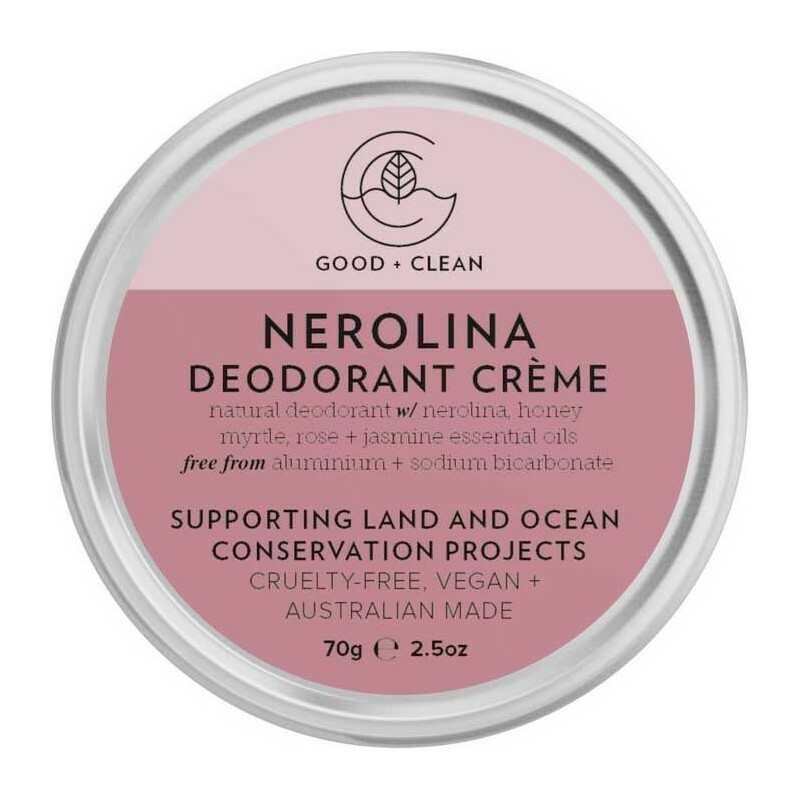 With nerolina, honey myrtle, rose and jasmine essential oils for a fresh floral scent of native wild flowers. Made on the sunny Gold Coast, QLD, Australia. Tapioca Starch, Magnesium Hydroxide, Prunus dulcis (Sweet Almond) Oil, Diatomaceous Earth, Theobroma Cacao (Cocoa) Seed Butter, Butyrospermum Parkii (Shea) Butter, Macadamia Ternifolia Seed Oil, Fractionated Coconut Oil, Zinc Oxide, Calcium Carbonate, Vegetable Glycerine (Palm-free), Candelilla (Euphorbia Cerifera) Wax, Simmondsia Chinensis (Jojoba) Seed Oil, Essential oils (Rose Geranium, Ylang Ylang, Nerolina, Honey Myrtle, Orange, Vanilla, Jasmine, and Rose). 70g. Comes in a reusable/recyclable aluminium tin.